Suspected Al-Shabaab militants killed three Kenyan teachers and injured one other in an attack on Friday in a school in the country’s northeastern county of Wajir, officials said. Mohamud Saleh, Coordinator of Kenya’s Northeastern Region, said the militants in the early morning attack, the Qarsa primary school near the borders with Somalia and Ethiopia, in a town about 70 km from Wajir town, the capital of the county, killed three non-local teachers. Authorities have been working to find another teacher, who was allegedly shot in the hand and escaped with injuries. Saleh said that ongoing efforts have been made to trace the killers, who escaped soon after the incident. “This is (a) very unfortunate incident and the first of its kind in Wajir County,” he said, noting that the militants had planted improvised explosive devices (IED) along the route to the school. Police said the militants seemed to have planted enough IED on roads leading to the school, making it extremely hard for ambulances and reinforcement teams to get to the site on time. “One of our vehicles that was responding to the attack was partly hit by an IED … but all our officers are in good condition,’’ said Mohamed Sheikh, Wajir Administration Police Commandant. Local residents said tension and uncertainty remains high in the entire county. Northeastern Kenya has suffered grenade and gun attacks in recent years since Kenya took its troops to Somalia to fight the Al-Shabaab militia group in October 2011. Several attacks believed to have been carried out by Al-Shabaab have occurred in Mandera, Wajir, and Garissa and Dadaab districts of northeastern Kenya even as the military reports gains against the Islamist group by capturing their military bases and killing scores of them. A high number of security operatives were on Wednesday deployed to strategic positions at the Murtala Muhammed Airport, Lagos, ahead of the working visit of President Muhammadu Buhari to the state. 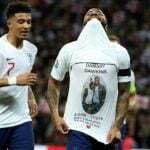 Raheem Sterling will cover the funeral costs for Crystal Palace youth player Damary Dawkins. 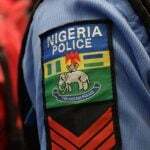 The family of Adaobi Ifeanyi who was shot dead by police officers has urged the authorities to ensure that justice is done in the handling of the matter. 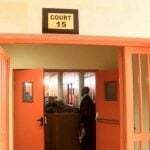 An Ikeja High Court on Thursday rendered a copy of the Department of State Security (DSS) report to the Nigerian Senate on Mr Ibrahim Magu, the Acting Chairman of the Economic and Financial Crimes Commission (EFCC) inadmissible. 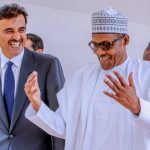 Investments in sectors like petroleum, power, aviation, agriculture and railways, featured prominently, at the meeting of the two leaders, Presidential spokesperson, Femi Adesina said in a statement issued at the end of the meeting.